Last week I travelled to Brussels to attend and present at FOSDEM. Since I was going there anyway, I decided to also join 2.5 days of GNOME Developer Experience Hackfest. Travelling to Brussels is usually pretty easy and fast, thanks to Eurostar but I turned it into a bit of nightmare this time. I had completely forgotten how London public transport is a total disasters in peak hours and hence ended-up arriving too late at the station. Not a big deal, they put me on the next train for free. I decided to go through security already and that's when I realized that I have forgotten my laptop at home. :( Fortunately my nephew (who is also my flatmate) was still at home and was going to travel to city centre anyway so I asked him to bring it with him. After two hours of anxiously waiting, he managed to arrive just in time for train staff to let in the very last late arriving passenger. Phew! While I didn't have a particular agenda for the hackfest, I had a discussion with Alexander Larsson about sandboxing in xdg-app and how we will implement per-app authorization to location information from Geoclue. The main problem has always been that we have no means of reliably identifying apps and turns out that xdg-app already solved that problem. Each xdg-app has it's ID (i-e the name of it's desktop file w/o the .desktop suffix) in /proc/PID/cgroup file and app can not change that. So I sat down and started working on this. 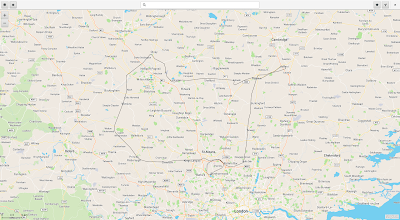 I was able to finish off the Geoclue part of the solution already before the hackfest ended and now working on gnome-shell (currently the only geoclue app authorizing agent) part. Once done I'll then add settings in gnome-control-center so users can change their mind about whether or not they want an app to be able to access their location. Other than that, I helped test a few xdg-app bundles. It's important to keep in mind that this solution will still involve trusting the system (non-xdg-app) application as there is no way to reliably identify those. i-e if you download a random script from internet and run it, we can not possibly guarantee that it won't access your location without your consent. Let's hope that xdg-app becomes very ubiquitous and becomes a de-facto standard for distributing your Linux apps in the near future. FOSDEM was a fun weekend as usual. I didn't attend a lot of talks but met many interesting people and we had chat about various different open source technologies. I was glad to hear that a project I started off as a simple proof-of-concept for GUPnP, is now a days used in automobiles. My own talk about Geospacial technologies in GNOME went fine except for the fact that I ran out of time towards the end and my Raspberry Pi demo didn't work because I forgot to plug-in the WiFi adaptor. :( Still, I was able to cover most of the topics and Maps demo worked pretty smoothly (there was weird libchamplain bug I hit but it wasn't very critical at all). While I came back home pumped with a lot of motivation, unfortunately I managed to catch the infamous FOSDEM flu. I've been resting most of the week and today I started to feel better so I'm writing this late blog post as the first thing, before I completely forget what happened last week. 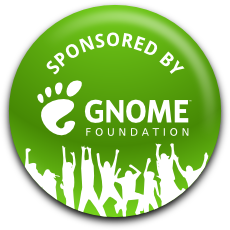 Oh and last but not the least, many thanks to GNOME foundation for sponsoring my train tickets.